Glaucoma is a chronic disease in which the pressure in the eye causes damage to the optic nerve that can lead to a loss of vision. The goal of glaucoma treatment is to lower the pressure in the eye, which can be done with eye drops and medications or surgical procedures, such as laser surgery. Little information is known about nutrition and its relationship to glaucoma. Although research is ongoing, health care providers have some simple suggestions for dietary changes that may have an effect on glaucoma. 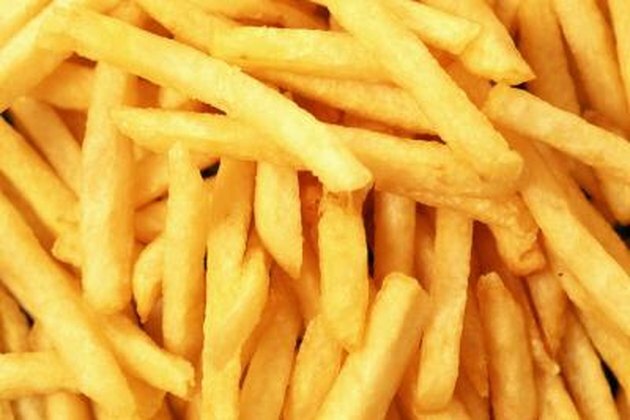 Trans fatty acids have been found to be associated with higher cholesterol levels. Trans fats can damage blood vessels throughout the body, and blood vessel damage may play a role in injury to the optic nerve in glaucoma, according to Dr. Kim Reed in "Review of Optometry" journal. Avoiding processed foods like cookies, cakes, French fries, and donuts will lower your intake of trans fatty acids. Eliminating these types of foods may improve your overall health, including your eye heath. 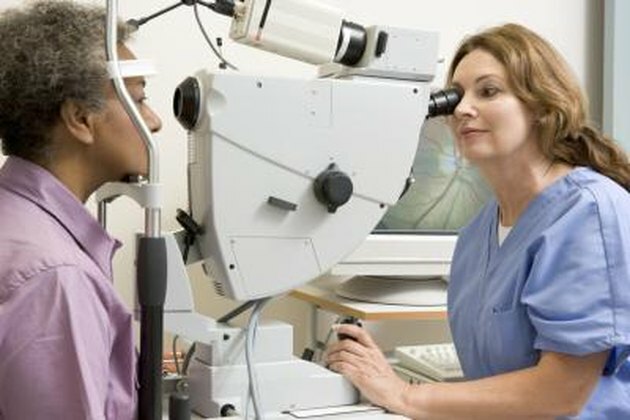 People with allergies may be at higher risk for glaucoma, as noted by Dr. Eric Braverman on PathMed.com. The relationship between food allergies and glaucoma is not known at this time. 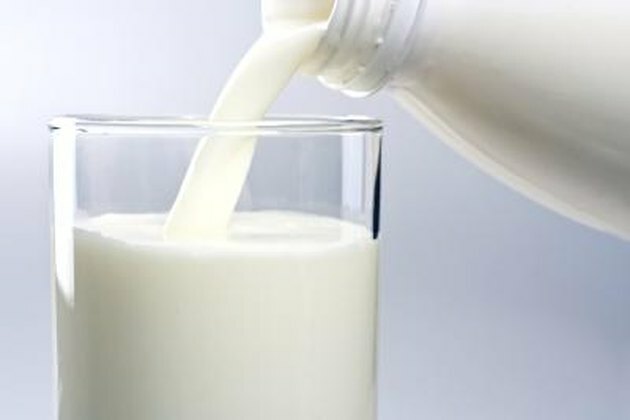 Typical foods that are often the cause of allergies include soy, dairy, wheat and corn, according to the University of Maryland Medical Center. You should work with your physician to remove the foods that may cause allergic reactions from your diet. Another type of food to avoid when you have glaucoma is anything high in saturated fats. Saturated fats do not provide much nutritional value and should be limited in the diets of people who have glaucoma. Another reason to lower the amount saturated fats in your diet is their association with weight gain. Research has suggested that a higher body mass index (BMI) may be associated with an increased risk of glaucoma and higher intraocular eye pressure, as noted by Louis R. Pasquale, MD and Jae Hee Kang in the "Journal of Glaucoma." 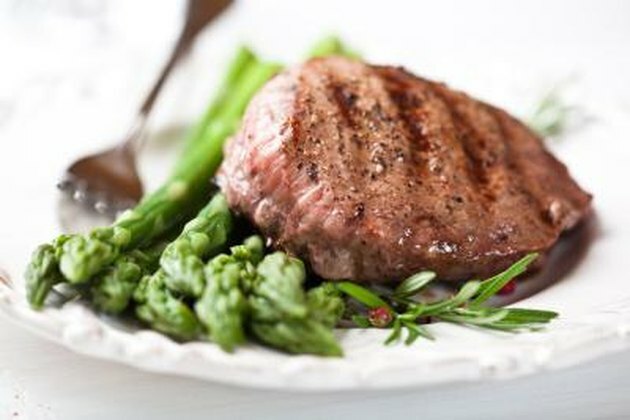 Foods to avoid include full fat meats like beef and other red meats. The use of lard and shortening during cooking should also be avoided. Large amounts of coffee have been shown to elevate intraocular eye pressure which can lead to damage to your eye, according to Pasquale and Kang. Drinking caffeinated coffee can cause a statistically significant elevation in eye pressure, as noted in a study by Avisar and colleagues in the "Annals of Pharmacotherapeutics." 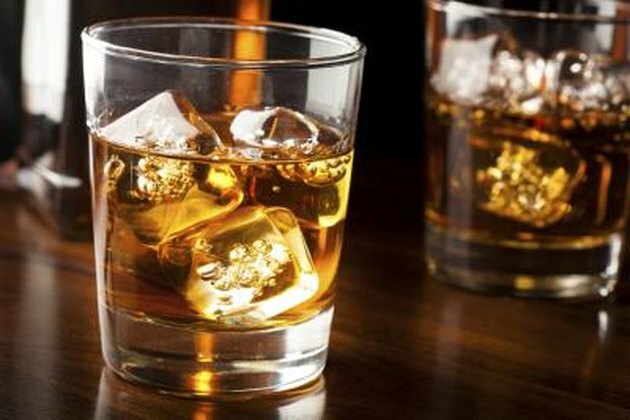 Drinking alcohol has not officially been connected to an elevation in eye pressures but many health care providers may suggest abstaining or modifying consumption of alcoholic beverages as well. Most eye care professionals would agree that you should eat a healthy and balanced diet if you have glaucoma; limiting your intake of unhealthy fats like trans fats or saturated fats is an important part of a healthy diet. Eliminating any foods that you may be allergic to and limiting your intake of caffeinated coffee may also positively affect your glaucoma. Further research is ongoing to evaluate the role of antioxidants and other types of supplements in managing glaucoma. Discuss your dietary concerns with your eye doctor. "Journal of Glaucoma;" Lifestyle, Nutrition and Glaucoma; Louis R. Pasquale, MD and Jae Hee Kang, ScD; 2009. "Review of Optometry;" Taking the Pressure Off: Nutrition's Role in Glaucoma; Kim Reed, OD; 2009. "Annals of Pharmacotherapeutics;" Effect of Coffee Consumption on Intraocular Pressure. Avisar R, Avisar E, Weinberger D.; 2002.